I have really started to enjoy the holidays more in recent years. I still refuse to do the crazy mall dash, but do love the time I get to spend with friends and family. It’s always a ton of food (which I love) and wine (again…obviously, which I love) and warm cozy houses. I just kicked off the season with a Friendsgiving at our house. Everyone brought an appetizer to share and I pulled out a few of my favorite wines for a spread. Matching wine with appetizers can be tricky. You need something with enough body to stand up to the bolder, richer, items, but definitely very light or no tannins. 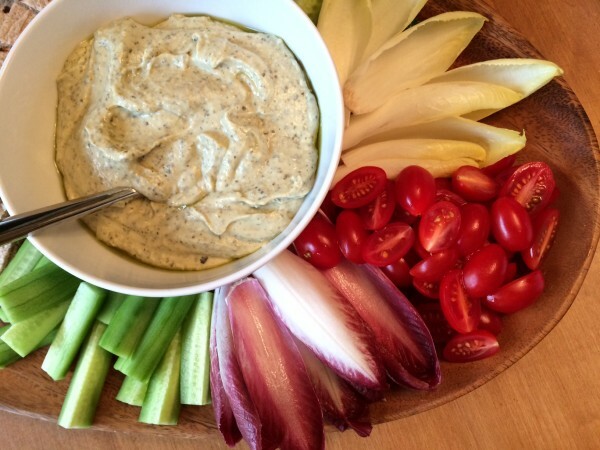 For the most part, appetizers are based around veggies (which have tannins themselves), or cheese (many of which can be metallic tasting with the wrong pairing), and are not our intense main course items like the steak with love with Fidelitas Cabernet. My choices for wine were the recent release of 2013 Klipsun Vineyard Optu White wine, and a couple of library reds, 2010 Columbia Valley Malbec and 2009 Columbia Valley Merlot (which sadly does not exist any more, but 4040 would be a nice replacement!). Our Friendsgiving spread included flatbread with pears, blue cheese, and caramelized onions, a crudité platter with endive, Persian cucumbers, tomatoes, and white bean hummus, sausage stuffed mushrooms, baked brie en croute with apples, hot spinach dip, and an amazing chocolate pumpkin bread. We wore stretchy pants and ate (almost) every last bite. So, in a year where the holidays seem to be coming early and faster than ever (Target had trees before Halloween and Santa showed up at the mall a week ago), I wish you a wonderful season that is filled with wine, food, friends, and family. 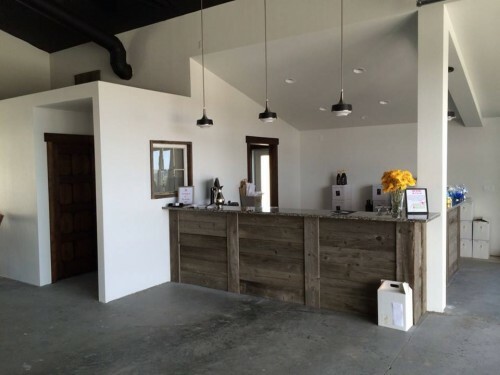 Tasting at Gilbert Cellars: Depending on what time we get out of town, we may make a stop at this downtown Yakima tasting room…just to get the weekend started right! Plus, I could stare at their gorgeous portrait of Gilbert Peak all day. 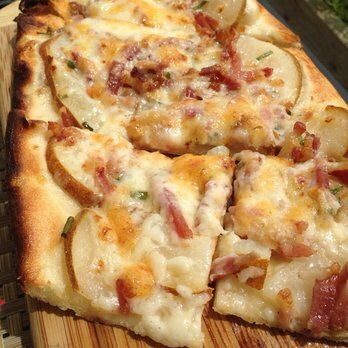 Early dinner at Wine O’Clock: Because the bacon and pear pizza is amazing!!! Dara won’t come to Red Mountain without this Prosser stop. Saturday Morning Yoga at the new Walter Clore Center: It’s followed by mimosas so that’s a no brainer. Harvest Party! This is one of my favorite events of the year. It’s just wine and tacos on the sunny patio in the afternoon. Low key and way fun. Wind down at Anelare: We love our friends Kahryn and Forrest’s new tasting room (on McBee…looking back at Red Mountain). Brunch at Anthony’s: Bloody Mary on the patio? In October? Yes please! 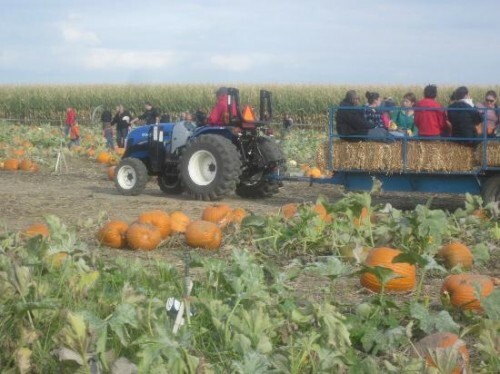 Pumpkins and farm animals at the Country Mercantile: Finally, an activity that will appeal to Grace. I can’t wait to pick out our pumpkins! Harvest is officially underway! We get things going a little earlier on Red Mountain, where the heat units are higher than many other parts of the state, meaning earlier ripening. So far, we've brough in Sauvignon Blanc from Klipsun Vineyard and Merlot from Scootenney Flats, to name a few. This are happening quickly in the vineyards and the cellar...we'll be sure to keep you updated! Heading to a Wedding? Think FAITHFUL, LOYAL, AND TRUE! It’s wedding season! Ben and I are preparing to attend our first (but not last!) wedding of the season this evening. As many of you know, we got married four years ago now at the tasting room on Red Mountain (no…sadly we do not host weddings there. Charlie made an extra special exception for me!). As my uncle pointed out in a speech, it was so fitting to have the tables filled with Fidelitas wine because the name translates to faithful, loyal, and true. Something we definitely focus on in a marriage. 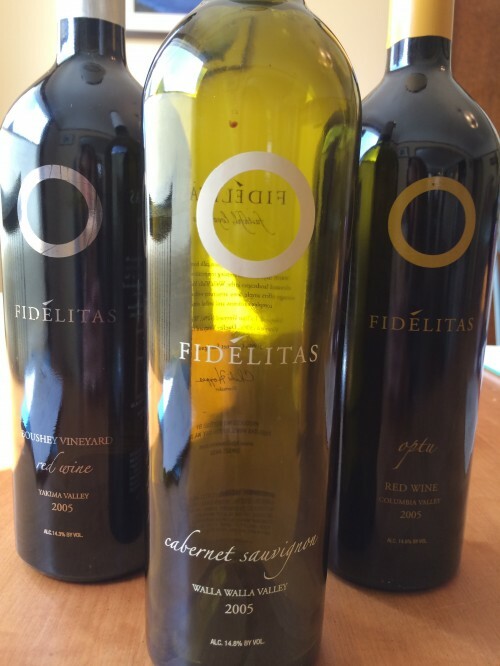 So, this evening, we’ll be bringing a set of Fidelitas wines as a gift for the bride and groom. One of my favorite gifts is to share a bottle that will be excellent on their one year anniversary, and another for their five (or 10!) year anniversary. Another great gift is a membership to the Wine Club. This is especially awesome for couples who may want to take advantage of tastings and events as newlyweds. It’s a good introduction to the wines, along with quarterly reminders of their wedding day and gifts received. Congratulations to all who are getting married this year or celebrating any momentous occasion with loved ones! The Fourth of July has always been one of my favorite holidays. 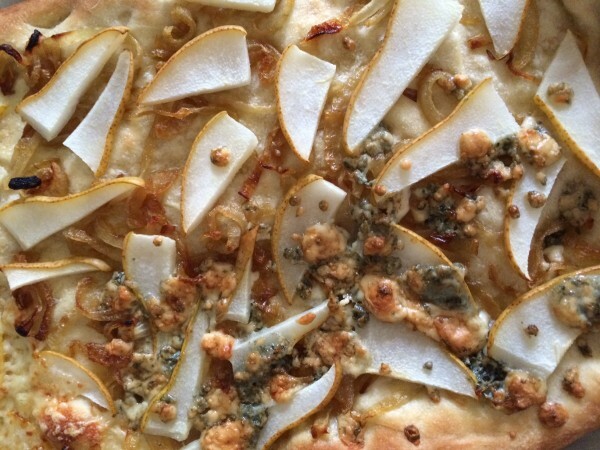 It involves friends, food, and in Seattle, the start of summer weather…usually. We are fortunate enough to live near one of the many vistas around the city where you can catch a glimpse of the fireworks. It’s become a tradition to invite friends to join us in the afternoon for a backyard barbeque (although many years that means dodging raindrops while huddling around the Weber) and then trot over to the park with sparklers for the show. As I prepare my menu for this Friday, I am reminded that grilling and backyard picnics are so often associated with beer or funny cocktails. But I’m a wine lover, and believe that it is an awesome pairing as well. My top picks for barbeque festivities? Semillon. Especially this current vintage of 2013 Klipsun Vineyard Semillon. For those of you who may be in warmer areas than Seattle, this is a great warm weather cooler with bright fruit and lively acids. However, there is also a subtle fattiness to it that rounds out the wine. The Semillon is perfect with your potato salad and grilled chicken dishes. It’s also a pretty perfect pairing with corn on the cob. Malbec. Malbec is a great barbeque wine, and I might be biased, but I swear that the Fidelitas Malbec is the BEST barbeque wine. The tannins are in check and the plummy, spicy notes just mimic anything you pull off the grill. I know that a few of our staff members think that the Malbec is awesome with ribs. I personally vote for grilled sausage. This wine is also going to be great with anything that involves grilled veggies, especially peppers and onions…maybe even an earthy quinoa black bean salad? Cabernet Franc. Looking for something a little bit special to share with friends this week? Been wanting an excuse to open that sold out bottle of Ciel du Cheval Cabernet Franc? Here you go. Cab Franc is another great cookout wine because of those subtle tannins, peppery tones, and slightly smoky note. This is the wine that is going to be awesome with your burgers, or honestly, just with really good potato chips. I’ll definitely have a few bottles on the table later this week and hope you might sneak one in to the world of beer as well. Have a fun and safe Fourth! So, we rounded up a few friends (Marilyn and Nedra from Red Mountain, Alissa and Dara from Woodinville) this past weekend to sample some wines from the 2005 vintage. From Fidelitas, we had 2005 Optu Red Wine, 2005 Boushey Red Wine, and 2005 Walla Walla Cabernet Sauvignon. There were a few other wines from other Washington wineries of note, but (and I’m only being slightly biased here) Fidelitas blew them out of the water so I won’t name names. We tried to rank them, but each of us had a different order of favorites, which means that they were all fabulous. The Walla Walla Cabernet (which we tried first: 100% Cab from LaTour, Windrow, and Dwelley), was deep, concentrated, and full. The fruit had really softened to make something round and beautiful. Boushey Red (53% Merlot, 40% Cabernet, 7% Cabernet Franc) truly just tasted like Boushey, which is such a great wine that I’m certainly not complaining! Still earthy with red fruit and soft tannins, yet beautiful structure. The Optu Red (55% Cabernet Sauvignon, 36% Merlot, 6% Cabernet Franc, 3% Malbec) was AMAZING in that you would never guess that it was a nearly 9 year old wine. Bright fruit, balanced acidity, present yet not overpowering tannins. Truly, had I tasted it blind, I would have thought it were a much younger wine. These wines were special for me to revisit. The 2005s were the current releases back when I started in 2008. The big, heavy bottles, vineyards, and stories brought back some great memories for me. I guess that is probably the best part of pulling things from the cellar! After rattling around in my own cellar, I came across a bottle of 2007 Red Mountain Red Wine, and determined it would be our wine for the evening. Besides being a fabulous wine, its red label makes it an obvious choice for Valentine’s Day. Mostly Cabernet Sauvignon, my original tasting notes refer to black cherry, cranberry, and cedar. I anticipate now that those bright red fruits have deepened in intensity and the oak tones have really settled in to creating a round, full palate. I wish you all a wonderful and fuss free Valentine's Day, whether you are spending it with your sweetheart, a group of friends, or just a special bottle from your own cellar!